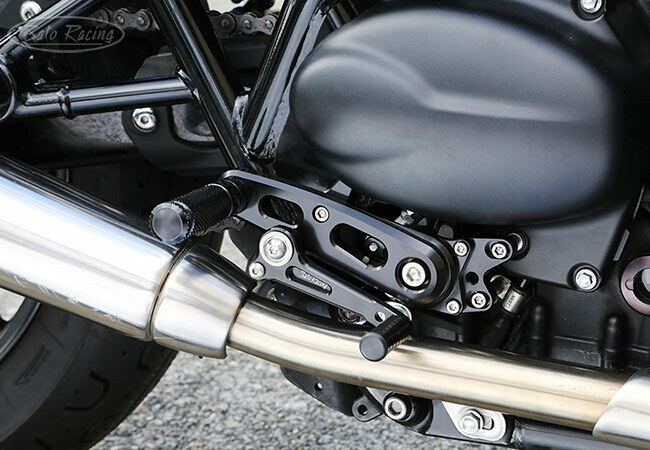 SATO RACING Rear Sets for 2016 and up Triumph Bonneville (T100 / T120) and Street Twin are precision CNC-machined out of lightweight and high strength billet aluminum, and features a handsome, minimalist design that blends well with the bike's classic styling. 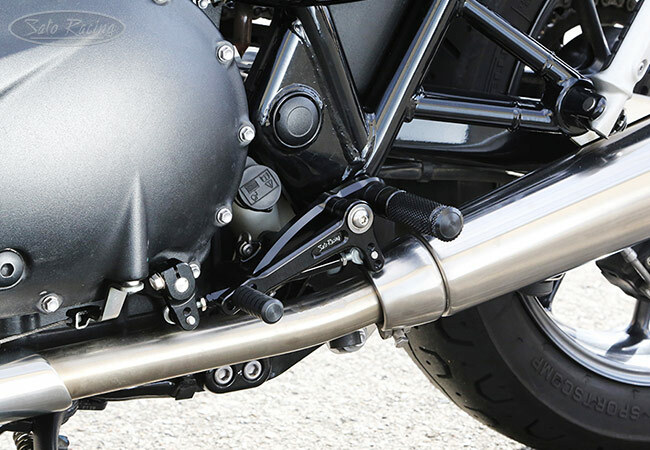 This track-engineered design has a fixed foot peg position that brings your feet higher up and further back compared to the stock peg position. 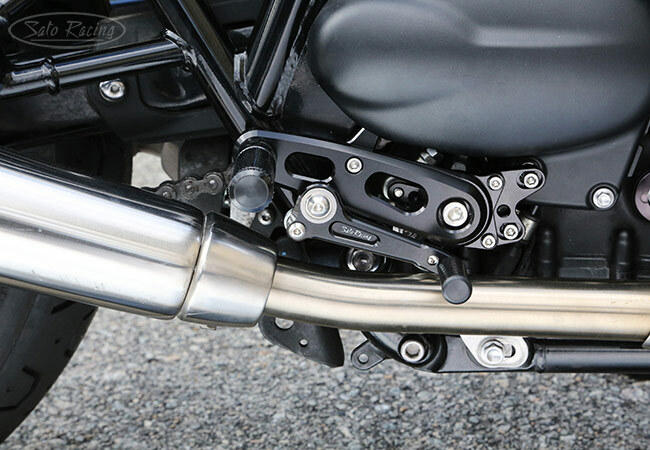 Choice of Black or Silver anodized finish. note: all measurements are in relation to stock position (0 mm). 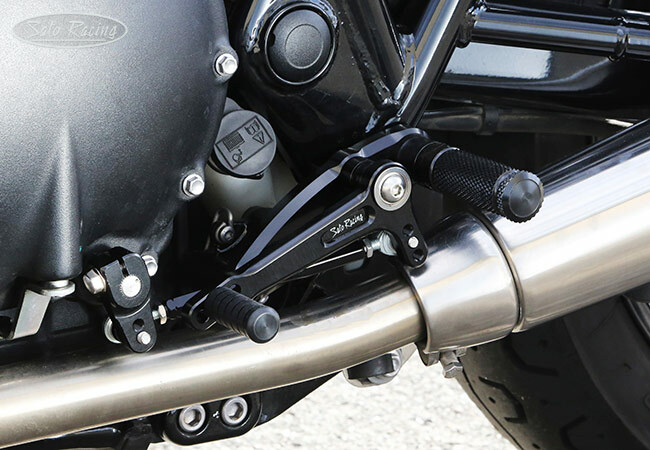 The shift and brake pedals utilize miniature double stainless bearings for the smoothest operation. and helps to shifts your body position forward, making it easier to maintain a 'full tuck' position. 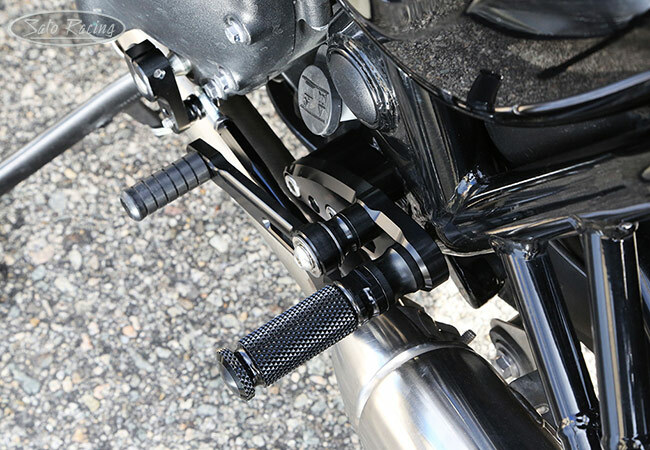 The foot pegs are finely knurled for nice grip, along with a comfortable, intuitive feel. 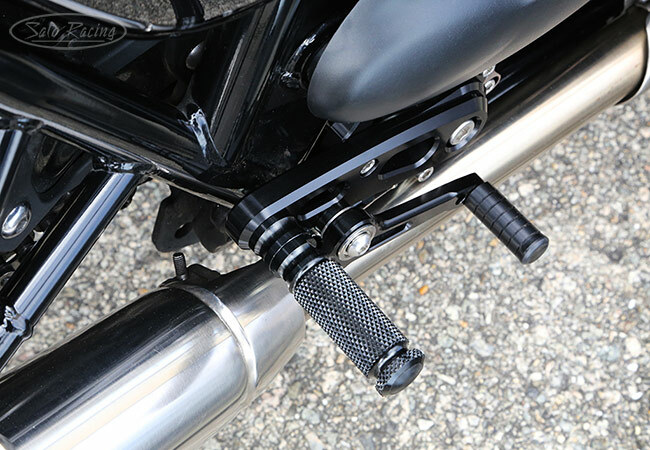 including aluminum Pedal Tips with fluted rubber grips, are an available option. 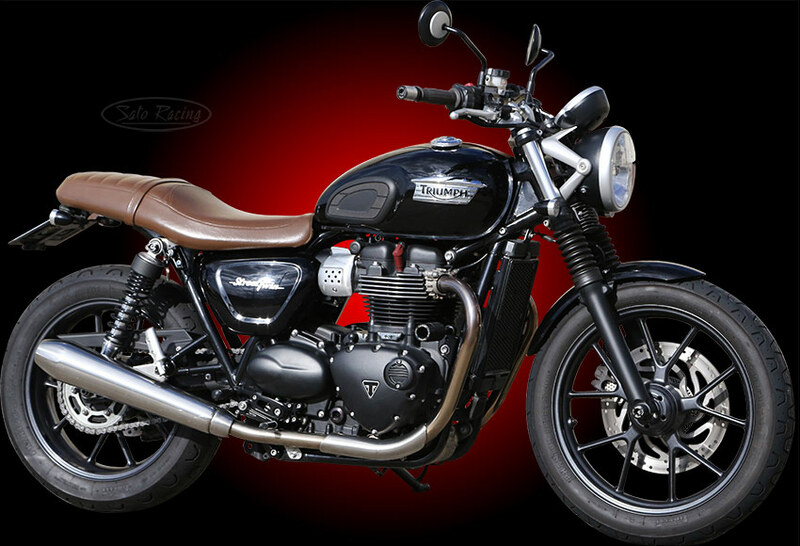 The retro Cafe Racer-inspired design blends seamlessly with the Bonneville's classic styling.